Okay, so you have been driving around aimlessly, surfing the web continuously and looking through all those car publications left on the counter of your neighborhood deli just to find that perfect truck for the best budget and you haven't had any luck. Well that's because you haven't found us yet! With over 23 years of experience in selling the best trucks at the most affordable prices; Auto Smart, LLC is a household name! 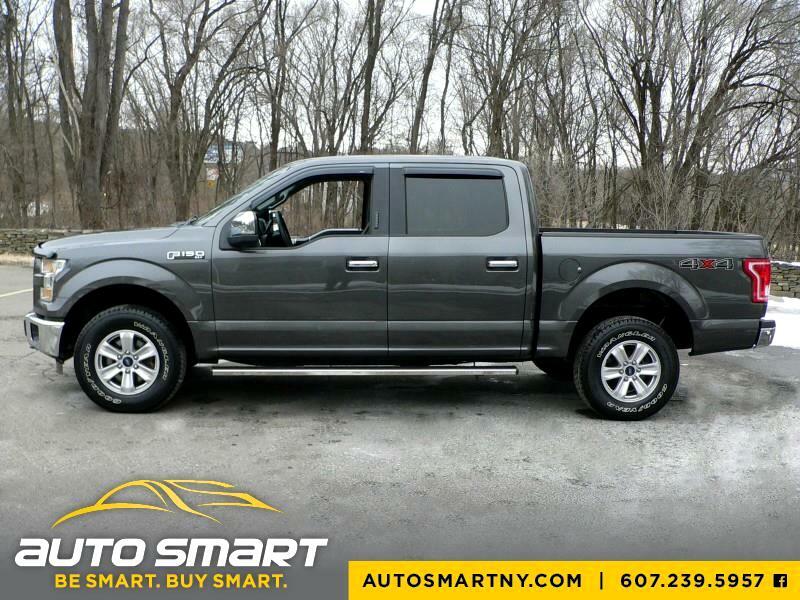 We are proud to offer this 2015 Ford F150 Crew Cab XLT 4x4 with only 47,000 one owner miles and fully loaded with all power amenities and many add on accessories for an extremely attractive price of just $28,995! This truck is as clean as they come and it has been professionally detailed inside and out leaving it with that showroom new appearance that it so much deserves! The interior is like new with no stains or foul odors and the exterior is equally as clean with no dings, dents, scratches or damage of any kind! It has excellent tires, nearly new brakes and it comes fully serviced with a fresh oil change and new inspection! If you are on the market for a cream puff truck then you should seriously consider this one! Read what others say about us on Facebook and take the trip to see us so you can win in a big way! "Be Smart -N- Buy Smart" at Auto Smart, LLC! EVERY VEHICLE OFFERED BY AUTO SMART COMES WITH A MINIMUM 60 DAY / 3,000 MILE WARRANTY. THIS TRUCK COMES WITH THE REMAINDER OF THE FACTORY 5YR / 60K POWER TRAIN WARRANTY!